We all want to leave our jobs and become a full time traders. This is good but there are certain things that you should keep in mind before leaving your job. You cannot become a full time trader with Rs. 10,000, 15,000 or even 1 lakh. At least 10 lakh is required to become a full time trader. With this 10 lakhs you will be able to live a modest simple life. You must have another 10 lakh in your bank account for emergencies. For emergencies you cannot take money out from your trading account. Risk management is very important whether you are a full time trader or a part time trader. 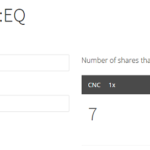 You must not risk more than 5% of your trading capital in one trade. 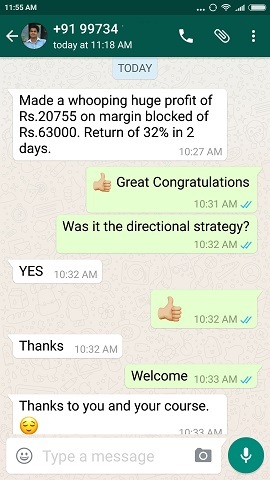 For example if for one trade money blocked is 1 lakh then you cannot lose more than 5000 in this trade else your account will vanish in no time. 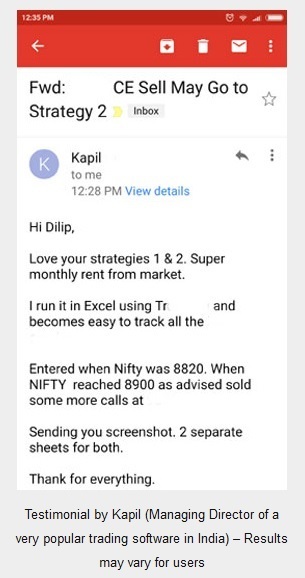 If for three months you are continuously loosing then forget about becoming a full time trader. 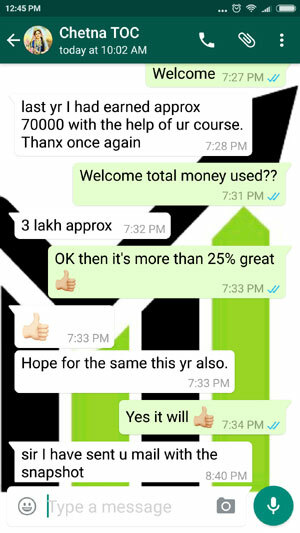 If seeing profit in a small account slowly increase the amount size to make it almost 10 lakh. 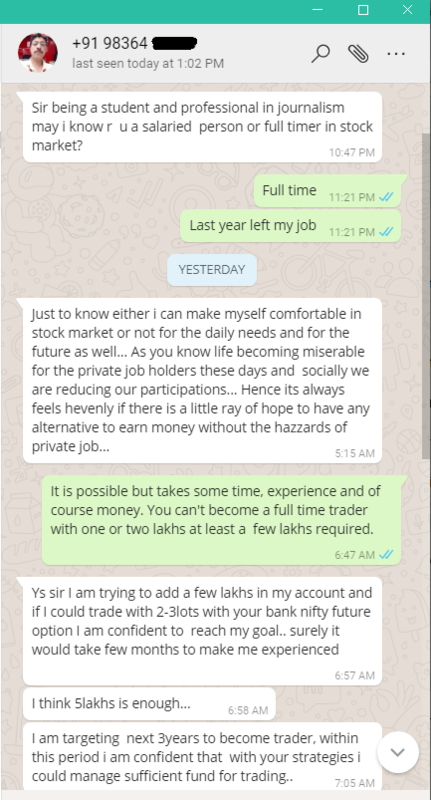 Once you are able to trade 10 lakh account profitably for 6 months at least then only think about becoming a full time trader. That you have intention to become a full time trader should be known clearly to your spouse/parents if unmarried. You cannot leave your job without mental support of your spouse/parents. If she/he/they are not happy with your decision then the stress prevailing in the house will disturb your trade set ups – you will not be able to concentrate. Family support is required to become a full time trader. 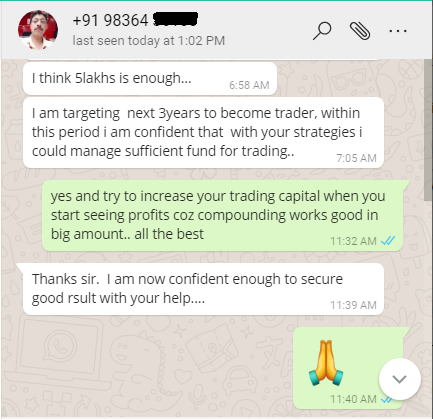 If you are making good profits in a 10 lakh account then it makes sense to increase the money in your trading account to try to make more. But you should not add 5 lakhs at one time. Increase it by 10% a month as you make profits. 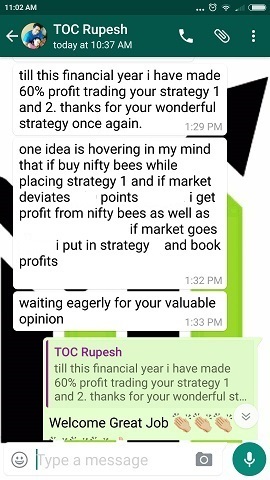 Add 10% more only after three months of profits. If a positional trader you must hedge your trades for overnight risk management. 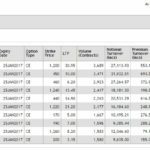 I have given you correct and true information on when and how you should become a full time trader or take trading as a business. I am sure you must have read a lot of different stories from people in many websites but frankly this is the only truth – full time traders do not live a fancy lifestyle as advertised by tips providers. But yes we do not have a boss to order us anything – however we do have other problems like which trade to take – how much capital to invest – risk to keep etc. The best way out is whether you are a full time or part time trader – invest in at least 5 blue chip stocks and ask collateral from your broker and trade conservative strategies on the collateral margin money. You will be relaxed as your account will grow slowly plus the dividends hitting your bank account will make you very happy. That is money that you got as a bonus just like you get a bonus in your job. There is no need to leave your job until you are absolutely confident that you can live comfortably from the trading income plus the extra cash you have saved for years for emergencies. So give yourself time, become a good trader, prove yourself that you are good trader then leave your job and become a full time trader.